To be a part of a couple’s wedding day is a privilege and always a joy. I look forward to discussing with you your plans and to help you make this day a unique and personal experience. 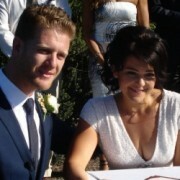 Whilst I live in Bondi I am happy to travel to your special wedding location. 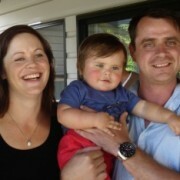 I enjoy interacting with people and with my work as a Civil Celebrant I relish in my role to meet with couples and help them create their own unique and special wedding ceremony. I will give you the best possible service, taking the time to listen to you and understand your particular needs and at all times extending a professional and friendly service. This is the day when you want to express to your life long partner your hopes and dreams for your future together, witnessed by your most loved family and friends. 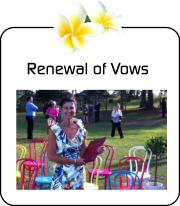 You are encouraged to include your own personal vows, meaningful poems or readings. I look forward to talking to you about your wedding plans or indeed any other celebratory occasion. 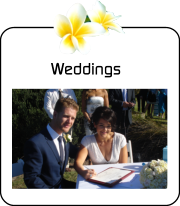 Angela is an Authorized Celebrant registered with the Attorney-General’s Dept. 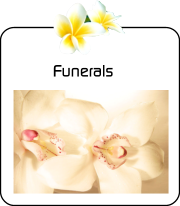 Member: Australian Federation of Civil Celebrants, Australian Marriage Celebrants Inc. 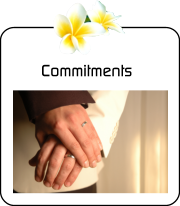 Contact Angela to arrange a meeting to discuss your Wedding Day. We have to tell you how wonderful you made our ceremony. Your preparation and delivery were impeccable and so many people commented on what an outstanding job you did! Thank you so much for all of it. You were and it was beyond perfect. Thank you again Angie, you are magnificent. 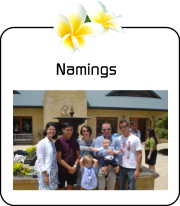 It was such a gorgeous day and everyone loved the naming ceremony for Charlie. You are wonderful. Thanks so much as always.